Archiving email messages has become vital for many companies who wish to meet a growing number of regulations and laws regarding message archiving; including Sarbanes-Oxley, HIPAA, Basel II, and FISMA. 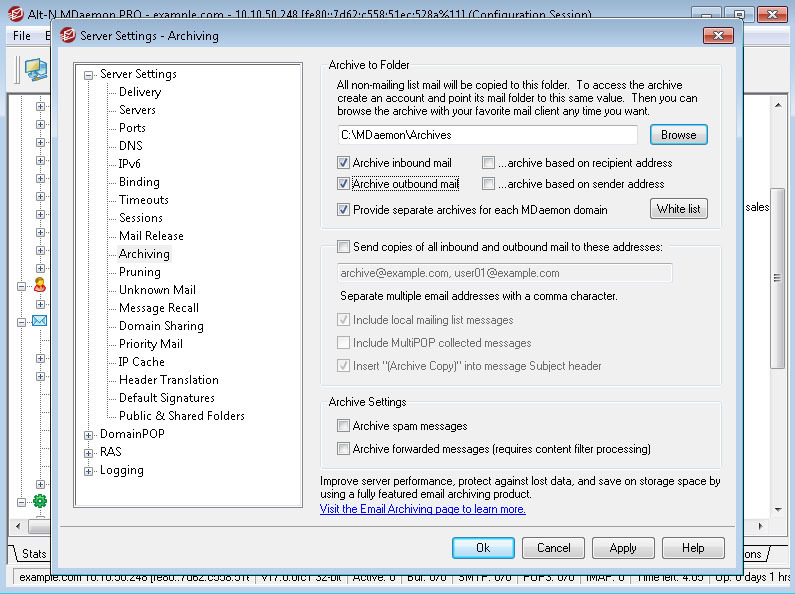 MDaemon Email Server's built-in message archival capabilities make it easy to safeguard your email messages, while meeting the requirements of increasingly stringent regulations. 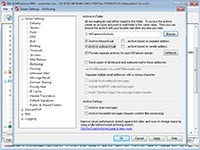 The straightforward, concise archival configuration screen makes message archival setup a quick, easy task. 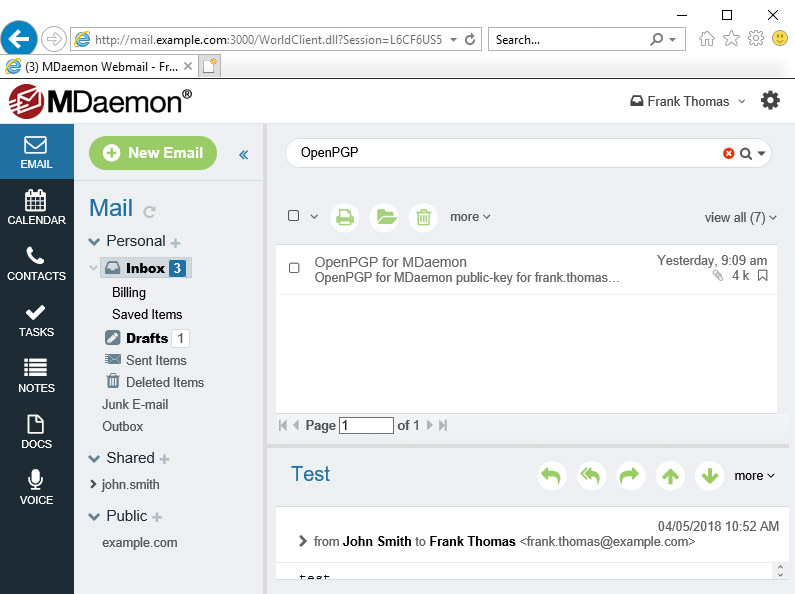 Multiple user access allows more than one person to have access to your critical messages. By archiving to controlled-access folders when mailbox size restrictions are in place, archiving provides peace of mind in knowing your important email messages have been backed up. 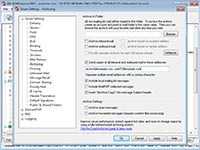 MDaemon Webmail allows searching of the archive for messages in which your search string appears in the To, From, Subject Header, or Message Body (including message headers). 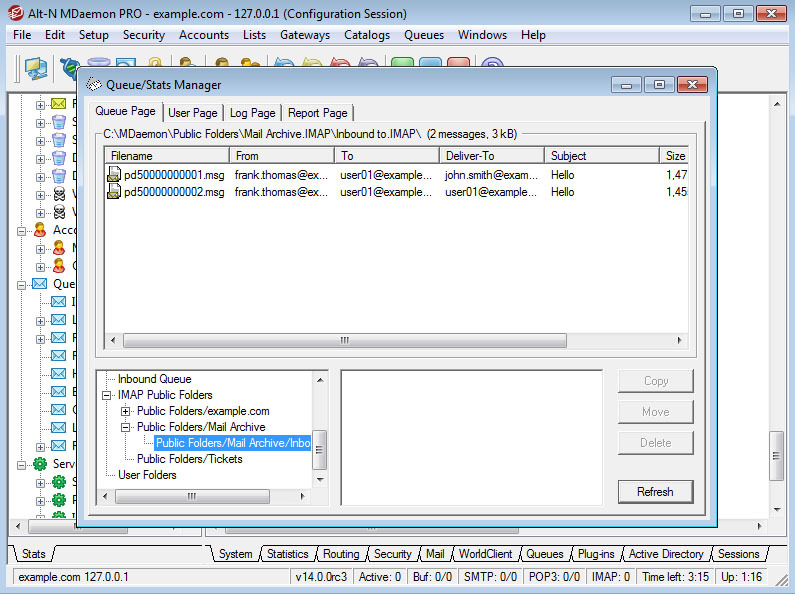 Whether you are archiving to a designated email address, or to public folders, the Queues and Statistics Manager makes it easy to browse your mail archives for important messages. Inbound and outbound mail can be archived to specific folders within the public folders hierarchy that, by default, are only accessible by the postmaster. Access can be granted to authorized users at custom access levels. Access rights can be granted on a per-user or per-group basis. In addition, archiving can be based on sender and recipient address with a separate folder created for each, allowing for quick and easy access to the information you need, when you need it. With a separate folder created for each, allowing quick, easy access to the information you need, when you need it. 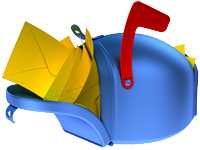 Email archiving has become an essential business tool. 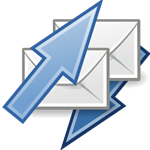 Most managed email archive providers charge monthly per-user fees. Other archive solutions require additional expensive hardware. 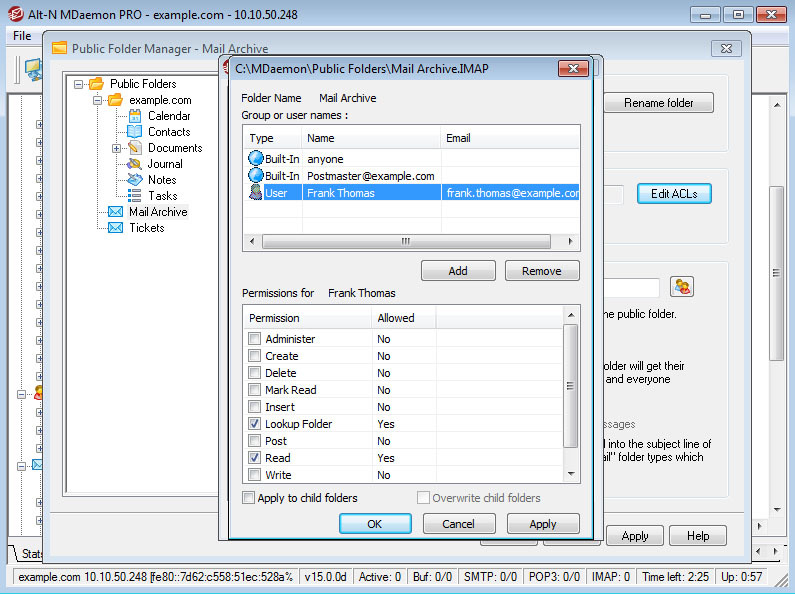 MDaemon Email Server's built-in archiving capabilities allow you to safeguard your important data while meeting regulatory compliance at no extra cost. While the MDaemon Email Server includes built-in archival capabilities, for our customers seeking a more robust offering we recommend solutions from several of our partners.